Graphical Stadium TFRs are displayed on the Maps view. Stadium TFRs are now graphically represented in the Maps view as part of the TFRs layer, both inflight using Stratus and on the ground over Internet. No additional Settings are required to view them. ForeFlight monitors event schedules for Major League Baseball, the National Football League, NCAA Football, Indy Car, NASCAR Sprint Cup, and Formula 1 and integrates that information into the TFR layer on the Maps view. ForeFlight looks forward seven days for events that match this criteria and the default duration for each event is set to six hours. Red TFRs are active or will be active in the next 8 hours. Yellow TFRs are inactive for at least the next 8 hours. As always, we recommend communicating with ATC inflight to steer clear of these areas when they are active. In the Maps view, select TFRs in the overlay menu. One other thing to note about TFRs is that if the FAA publishes a TFR without graphical shape information, it may not appear in the Maps overlay. We encourage you to also check the Airports page > NOTAMs > TFRs, as well as with ATC, for any additional TFR information. 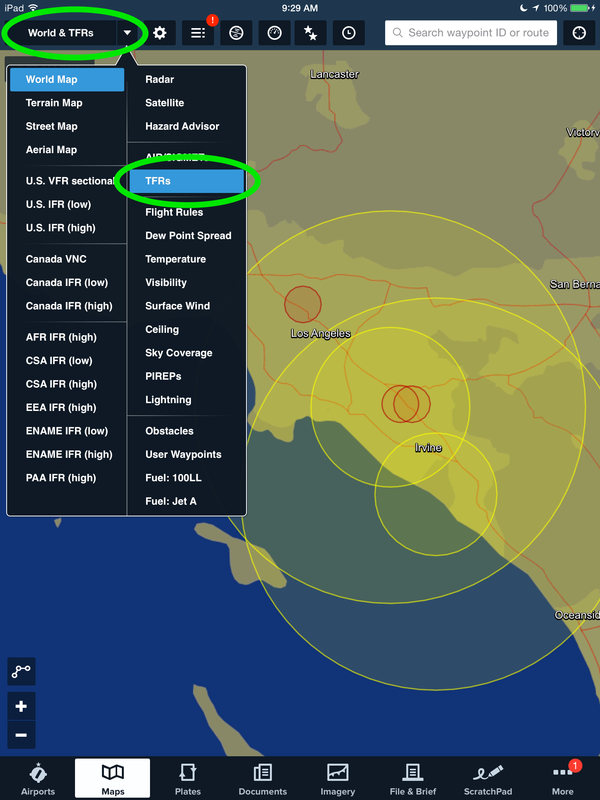 Reference additional TFR information in the Airports view > NOTAMs > TFR. 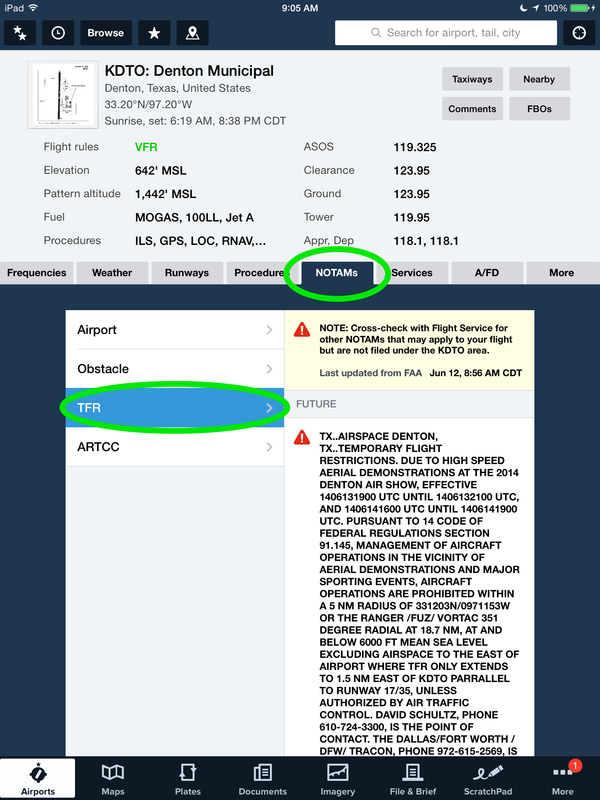 This entry was posted in ForeFlight Mobile and tagged aviation, flight planning, ForeFlight Mobile, iPad, stratus, TFRs by ForeFlight. Bookmark the permalink.